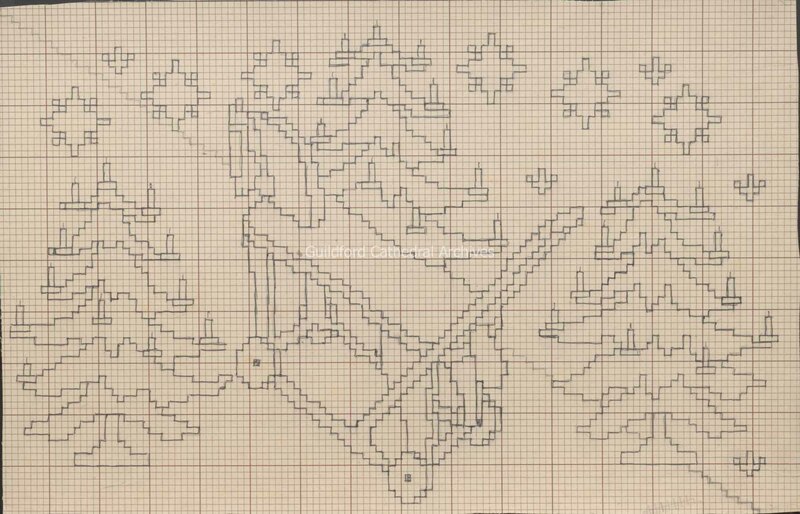 2 patterns for the Christmas Trees Kneeler, both on card. 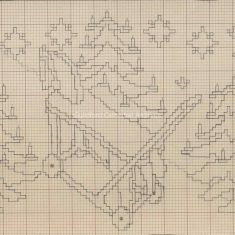 a) is a pencil and biro pen line drawing on brown squared paper, b) is a black and white copy of a pen outline design on larger squared paper. 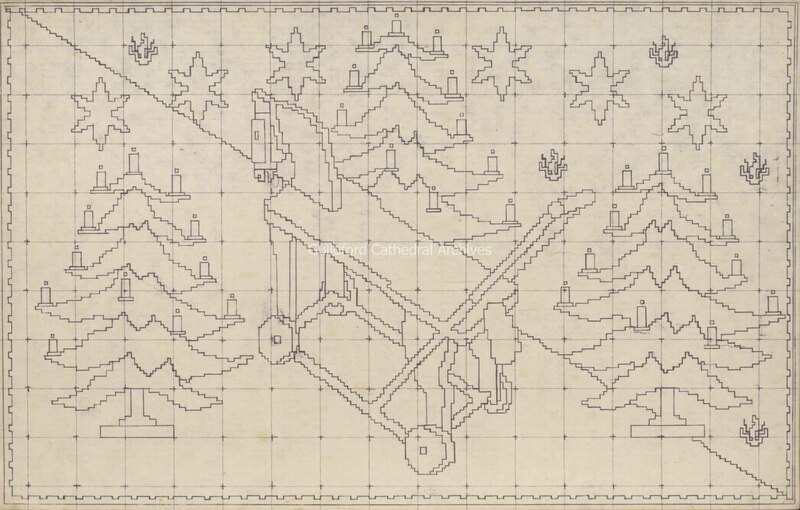 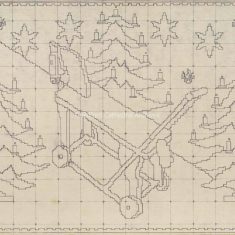 The design shows a toy wooden horse at the centre with three Christmas trees around it and six stars at the top.